Mechanical, Electrical & HVAC Specialists. We are a Leeds based company serving commercial, industrial, government and local authority clients locally in Yorkshire and nationwide. 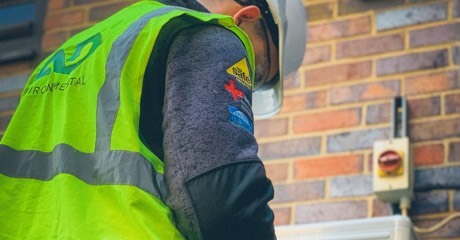 Employing skilled trade operatives in house, we offer a full design, installation, breakdown and service across multiple trade disciplines. We can create the perfect environment for your business to grow. 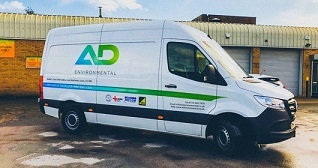 AD Environmental operate locally in Yorkshire, and nationally. Within the past 8 years we have gained experience across a range of sectors, including retail, fitness, commercial, industrial, education, health care and transport environments. Whether you're seeking assistance with design on a new build project, full building or office refurbishment, installations, upgrading of aged equipment, or just looking to maintain and service your current plant cost-effectively and efficiently - we can help. We directly employ qualified and dedicated personnel in all our trades to ensure the highest quality at all times. We do not rely on sub-contractors whom may not share our business ethos or quality standards. We supply, install, commission and service all types of air conditioning, refrigeration, heat pump, ventilation and chilled water plant. We supply, install, commission & service all types of heating and plumbing systems. We work with top manufactures to supply, install, test and commission and service all types of electrical systems. We work alongside manufactures to carry out planned and reactive maintenance works across all our disciplines. Provide all aspects of building & construction design from CAD services to project managment to feasibility reporting. We hire temporary climate control solutions, including self-contained transportable plantrooms, portable heating fans and industrial portable cooling units. We’ve completed projects for a range of business's across the UK. AD Environmental serve clients locally and nationwide. Hopefully our website has the information you need. You can request any further information or submit an enquiry here.